A filmmaker and a dancer meet in the same location twice a day - once in the early morning, once in the late afternoon - for five consecutive days. 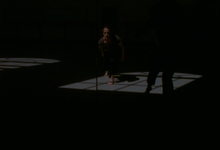 They create a series of ten in-camera 16mm films that map the negotiation of improvised dance and cinematography and their collaborative relationship. Can the camera act as a dynamic partner, more than simply a new “stage” or documenting device for the dancer? 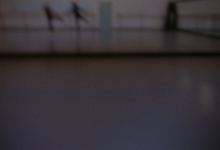 Can the dancer be more than a subject embedded within the frame and altered by the cut?